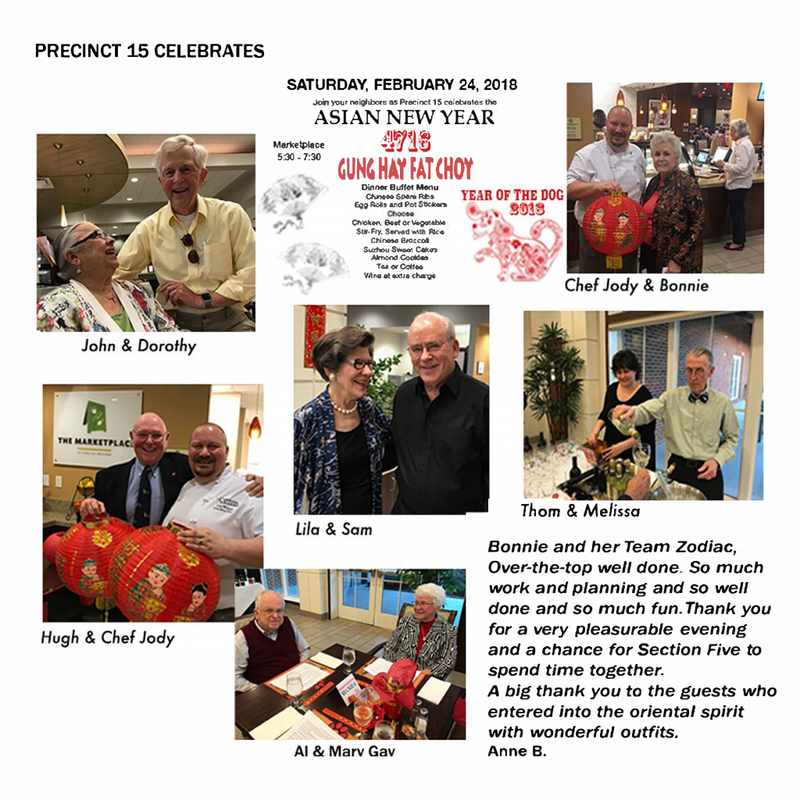 At a rollicking yet elegant evening in February, Precinct 15 residents celebrated the Chinese Lunar New Year of the Dog, 4716. The Market Place was ablaze in dramatic red and gold decorations, and many residents wore beautiful Chinese costumes. Chef Jody McLeod and his staff prepared a special buffet dinner of Chinese spare ribs, egg rolls, pot stickers and Asian broccoli. For dessert there were sweet almond cookies and of course fortune cookies. A Chinese etiquette quiz provided entertainment; prizes were little yellow ducks which float in the bathtub upside down—since they come from China. The dramatic decorations and delicious and fragrant food and wine were a treat for the senses that made for a memorable night. 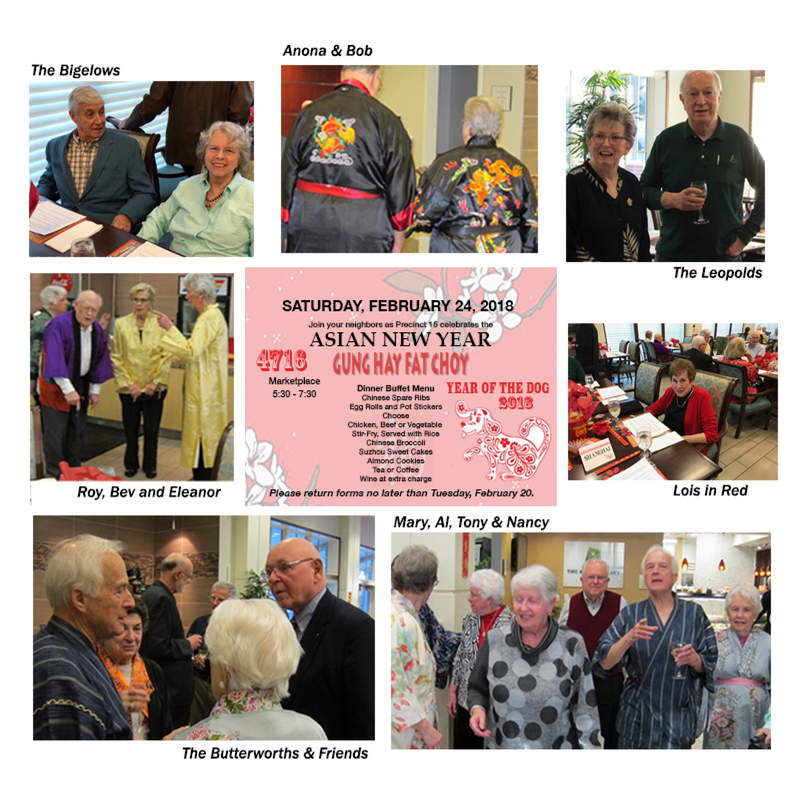 Bonnie Fuchs and her committee Team Zodiac, Anne Bodner, Joan Kastel, Judy Tilson, and Dorothy Samitz,with assistance from Bev Milton and Ruth Leopold, put it all together.